real estate transactions, mortgage loan transactions and fees paid to unlicensed persons. When discussing the subject of referral fees, it is important first to note that these “fees” are not always paid in cash. Both federal and state laws regulating the payment of referral fees may also refer to them as “compensation,” “consideration,” “anything of value,” or “form of payment.” For the purposes of this article, the term “referral fee” will include any type of consideration – cash or otherwise. otherwise lawful referral must first be paid to the employing broker who can then compensate the salesperson. 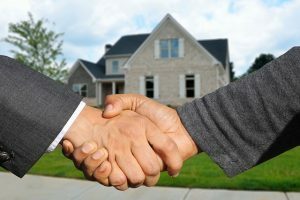 Except for very narrowly defined exceptions, real estate licensees are also prohibited from claiming, demanding or receiving fees for the referral of customers to any escrow agent, structural pest control firm, home protection company, title insurer or escrow company (B&P Code Section 10177.4). Section 8 of the Real Estate Settlement Procedures Act (RESPA). Regulation X, 24 CFR (Code of Federal Regulations) Section 3500.14 forbids any person to pay or receive any fee, kickback, or anything of value that is incident to a settlement service involving a federally-related mortgage loan. A referral of a settlement service is not a compensable act. Essentially a real estate broker or agent cannot be compensated for merely referring his or her client to a mortgage broker, lender, title or escrow company, etc., without providing certain services, goods or facilities. RESPA covers most transactions involving single-family residences or 1-4 units. To emphasis, the language in the statute states that the law applies to “federally-related” mortgage loans. This is a broad definition, so therefore careful analysis must be done relative to each mortgage loan transaction. An in-depth review of this issue is beyond the scope of this White Paper. Under RESPA, the definition of “Settlement Services” can be summarized anything related to a real estate settlement, including anything which relates to title searches, examinations, insurance, services rendered by an attorney, preparation of documents, credit reports, appraisals, pest control activities, services rendered by a real estate agent or broker and any other service related to a mortgage loan… 12 USC 2603 (3). The law requires that the services have actually been performed. 12 USC 2607 (b). A violation of this law carries criminal and civil penalties. When you are analyzing a fee paid under federal law, you must first determine if RESPA applies, what are the circumstances of the transaction and can fees be paid contractually. ← Can I Pay a Referral Fee on my Real Estate Transaction?